Palmako Betty 25.0m² Pavillion: The Betty 25.0m² is the largest in the Betty Range, which provides a grand area for a wonderful outdoor dining area for family occasions and events perfect for the summer months. The Palmako Betty is constructed with attractive Nordic Spruce for a natural looking finish and the roof is made from high quality tongue and groove boards. 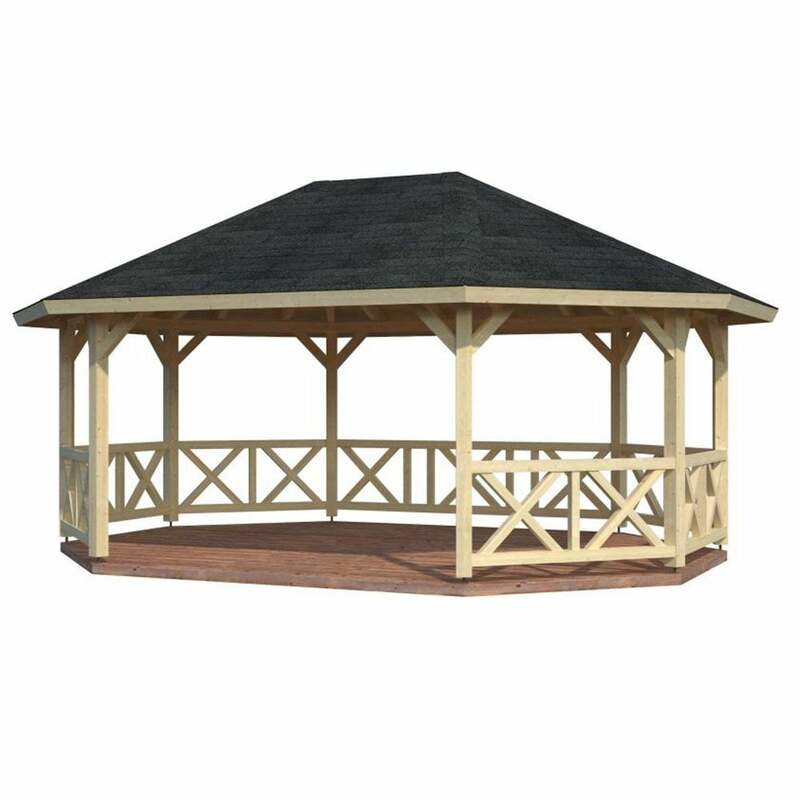 The open sided plan allows for a spacious feel and supported with the sturdy 12cm x 12cm laminated wood posts. Please Note: Does Not Include Floor or Shingle Roofing Material.